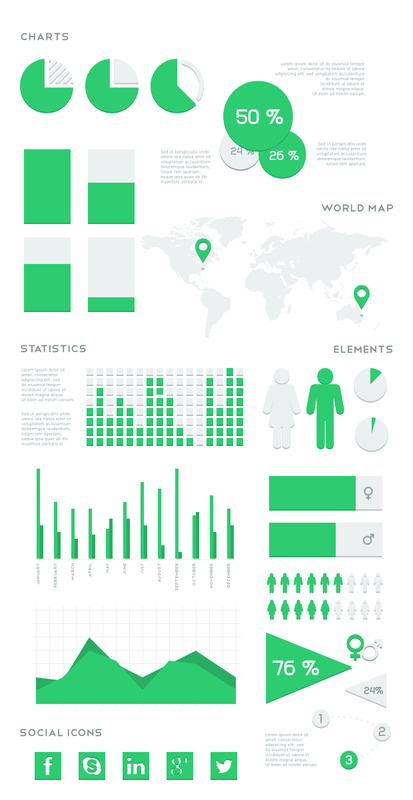 A flat vector infographic kit for creating infographics. We have included in this package over 30 elements such as: a vector world map, vector charts, gender elements, bar charts and social icons. You can easily customize all the elements to create your own flat infographic presentation.